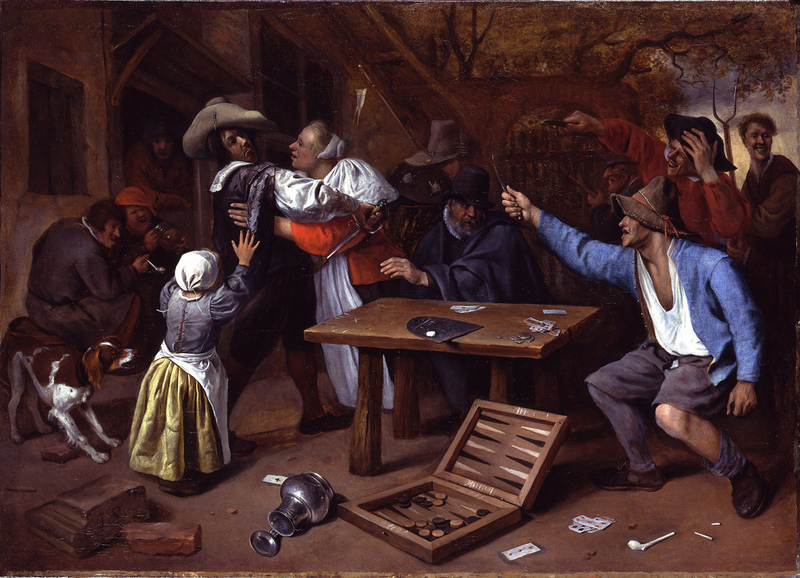 Most of us have had to suffer through a “discussion” occurring in the presence of a large number of people, most of whom never get an opportunity to speak. 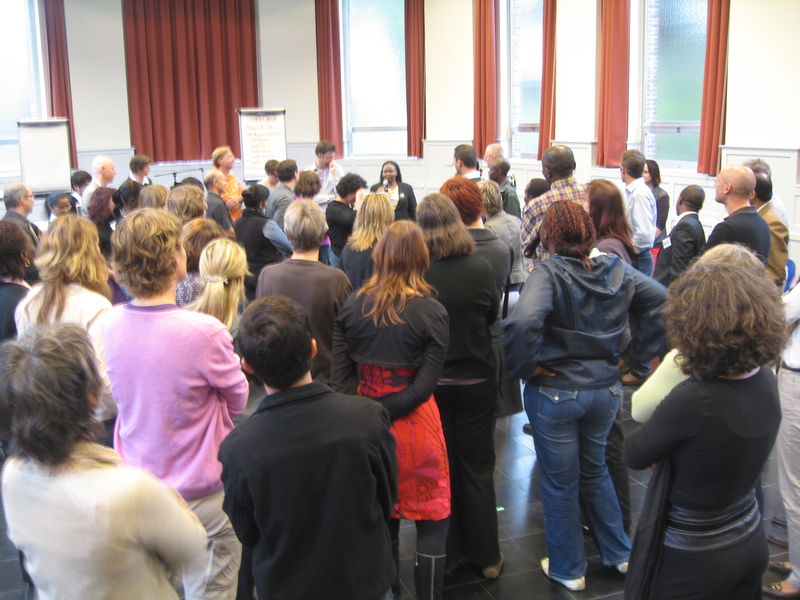 Here are three tips for creating an effective focused discussion with a group. 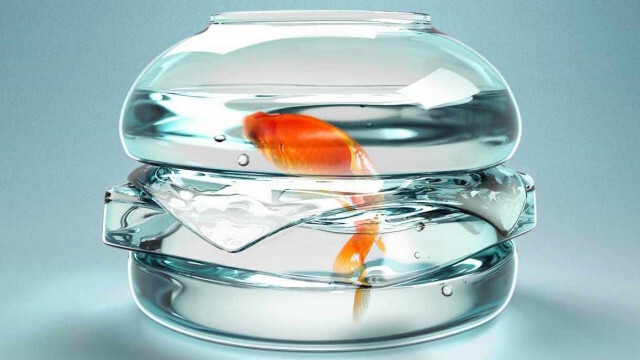 A fishbowl provides a simple, ingenious process for focused discussion. The advantage of a focused discussion over informal discussion is that it greatly reduces the cross-conversations that frequently occur when many people want to respond or comment on something that’s been said. And it manages this feat without limiting discussion to a few voluble people, as it provides all attendees an equal opportunity to contribute. The term “fishbowl” can refer to a couple of different techniques for focused group discussion. In this post I’ll describe the standard fishbowl design, which assures that the conversation at any moment is restricted to a few clearly defined people while still allowing others to join the discussion in a controlled manner. 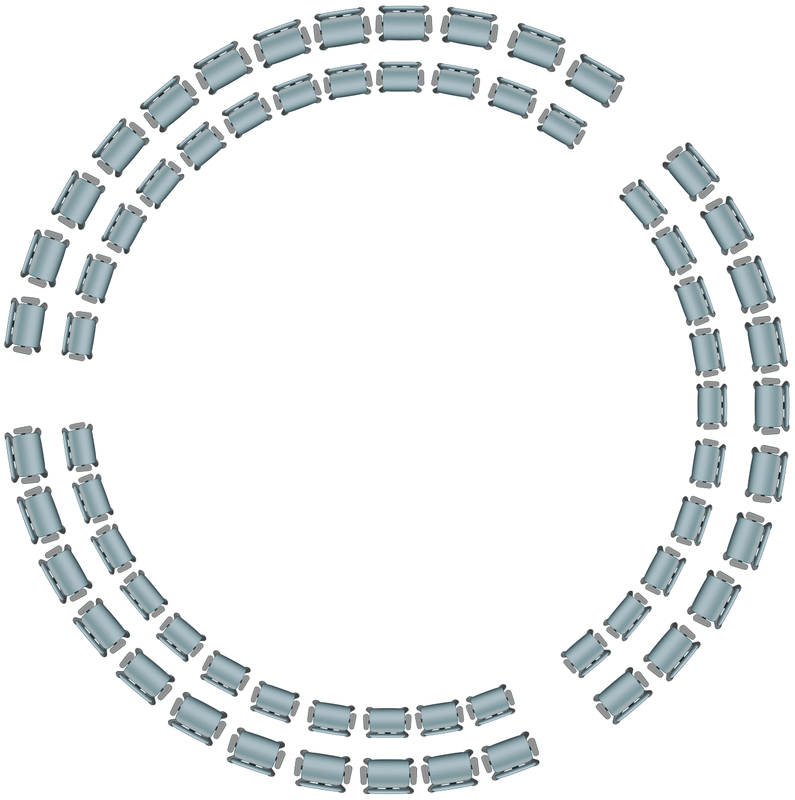 A standard fishbowl requires a chair for each participant, with chairs set in a horseshoe or circle, as shown in the diagrams below. See the second tip to decide which layout to use. The number of chairs in the mouth of the horseshoe or the center of the circle is typically four or five. The fishbowl facilitator sits in one of these chairs for the duration of the fishbowl. 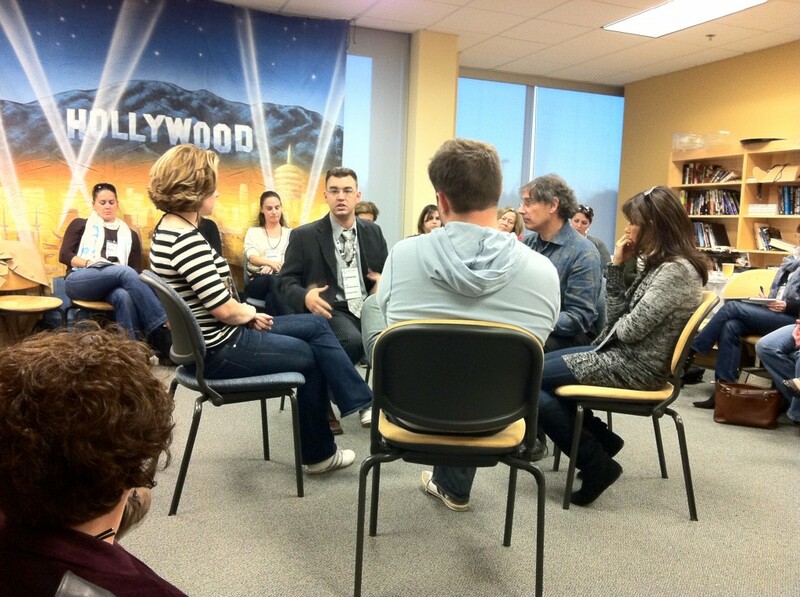 “We’re about to start a focused discussion using a fishbowl. If you want to talk, you must come and sit in one of these chairs next to me. If all these chairs are full and no one has yet spoken, wait a little. Otherwise, when you come up, someone sitting here must go back to a chair in the [horseshoe/outer circle]. 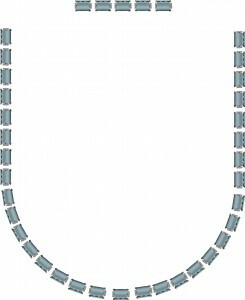 Also, if you’re sitting up here and have finished what you have to say, go back to a [horseshoe/outer circle] chair. When you’re up here, you can talk to someone else in these chairs or the whole group—the choice is yours. You’ll probably find that some attendees will want to talk from their chair in the horseshoe or outer circle. When this happens, gently interrupt and gesture for them to come up and sit next to you. If they’ve interrupted someone in the conversation chairs, steer the conversation back to the folks up front. it’s clear when the conversation on a topic has run its course. I prefer the circle version for square rooms, and the horseshoe layout for rooms that are significantly longer than wide. 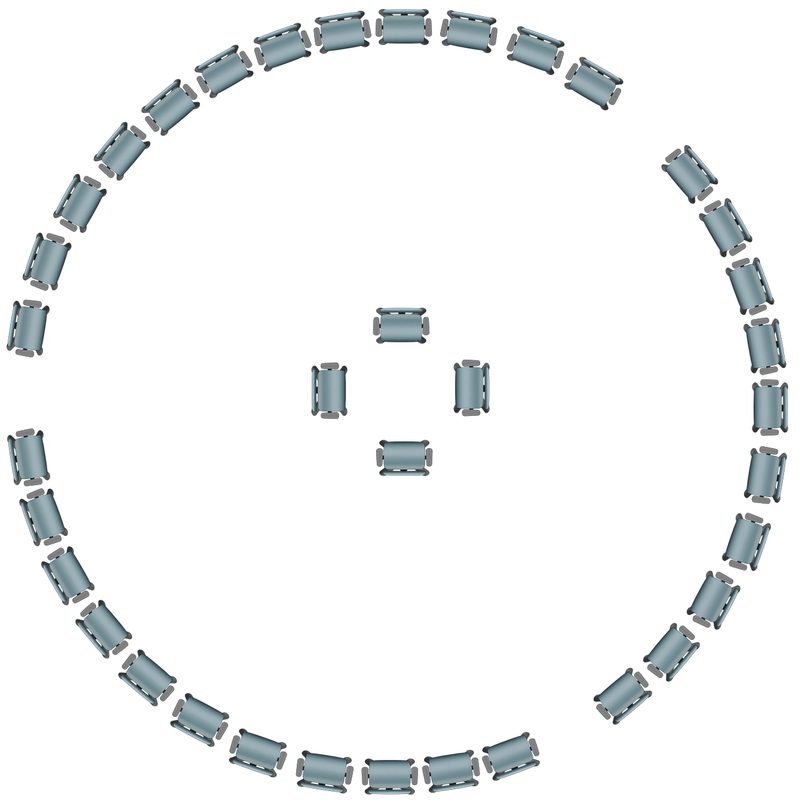 If both versions can be accommodated, I like the circle version for general discussions, and the horseshoe version when decisions may be made or if you are scribing discussion points onto flip charts, which can then be placed next to the small row of chairs for all in the horseshoe to see. 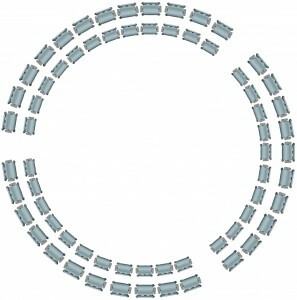 If you have less than twenty people in the fishbowl, use the horseshoe layout to avoid some participants having to stare at the facilitator’s back the whole time. Don’t run a fishbowl at the end of a session or conference without first creating a preliminary list of topics. This can prove frustrating when people with different topics in mind occupy the speaking chairs, leading to a conversation that jumps around from topic to topic as each person speaks. 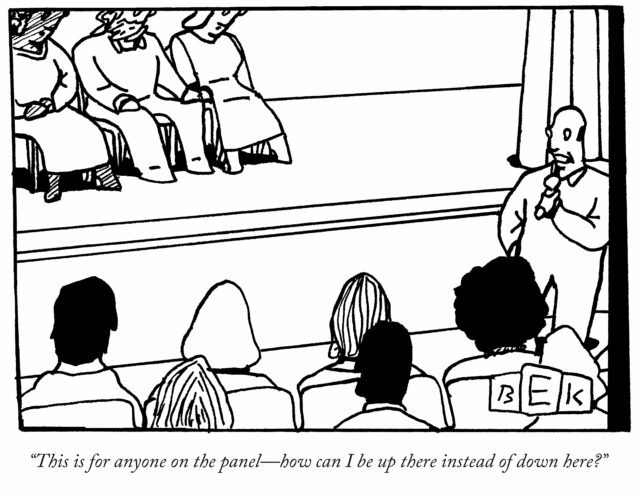 To avoid this, I’ve found that it’s best to precede a fishbowl with techniques like plus/delta or affinity grouping (see Conferences That Work: Creating Events That People Love). 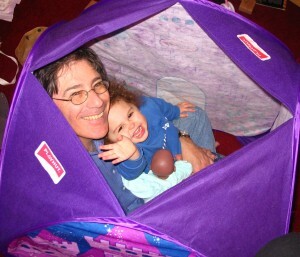 Both techniques create a list of opening topics for the fishbowl to address. The facilitator then uses the list as a roadmap for discussion. What tips do you have for improving the quality and effectiveness of group discussion? Share them below!